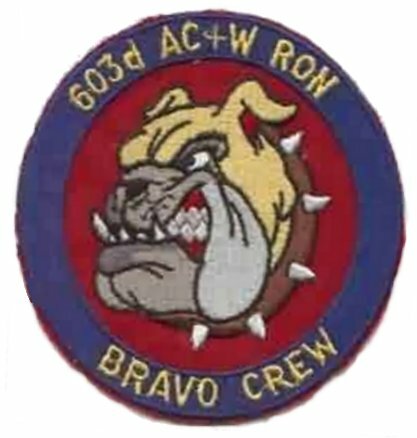 May 25, 1948 - 603rd Tactical Control Squadron was reactivated at Hof, Germany with Captain Glenwood McDowell as Commanding Officer. July, 1948 - Russians blockade all ground communications between the Western Zones and Berlin. Allies organize the Berlin Airlift. Blockade lifted in May of 1949. June, 1949 - Major Otto B McIver assumes command of the 603rd TCS. Captain RL Woods joins the organization. Squadron immediately goes on field maneuvers at Darmstadt for the purpose of streamlining mobility. In September, the Squadron is again on maneuvers at Neustadt/Aisch. In September, 1949, Captain Leo A Allen is assigned as Communications Officer. April, 1950 - 603rd once again on the move - this time to Giebelstadt, Germany. Two months later assigned permanent status, followed by renovations at this new "home". October, 1950 - blue uniforms issued. December - Christmas party held for the children of Giebelstadt with Sergeant Garcia as Santa Claus. February, 1951 - Captain James H White joins the organization as Adjutant. In March the organization is involved in a pactice maneuver named appropriately: "Operation Mudhole". In May - Operations "Readiness Test" with the 603rd on maneuver status. Also in May, the 603rd represented the Air Force by marching in the Armed Forces Day parade at Wurzburg. August, 1951 - Captain (Chaplain) Mack joins the 603rd. In September the organization again goes on Maneuvers for two weeks in Belgium. During the next four months the following officers joined the organization: Major Rooney, Lt. Blackburn, Dye and Noonan. Followed by: Lt. Moran and Lt. Reckas, Capt. Dodds, Capt Lord, Lt. Clarkson and Lt. Kime. In early 1952, Lt. Eldridge, Captain Hofman and Lt. Champe joined the 603rd. Majors Beck and Williams and Lt. Brand became part of the organization followed by Capt. Holland, Lt. Main and Lt. Wheeless. May, 24, 1952 - Organizational Day celebrated. July, 1952 - Col. Frederick C. Roberts replaced Col. McIver as Commanding Officer. In September. In October, Lt. Bevirt, Capt. Gramzinski, Lt. Clemmer, Lt. Laughlin, Lt. Taylor and Lt. Westall join the 603rd. November, 1952 - detachment is assigned to Hof, Germany. December, 1952 - third annual Christmas part held for the children of Giebelstadt. Lt. Broadhead joins organization. January, 1953 - all squadron members receive flu shots because of an epidemic. Lt. Nichols joins 603rd. Deep snow and cold weather highlight the season. May, 1953 - 603rd "Memoirs" Book is published and distributed. July 1956 - 603rd AC&W Squadron moved from Giebelstadt to Langerkopf. June 25, 1965 - 603rd Aircraft Control and Warning squadron "de-actived" at Langerkopf. Assorted "Memories of Giebelstadt" - 1950-1956.